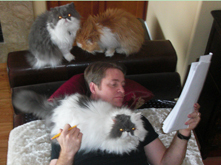 Pet Friendly By Owner Rentals in Las Vegas, Nevada! Want to search for yourself? 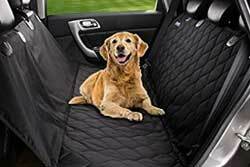 Try vrbo/homeaway- filtered for Las Vegas and petfriendly also - just select your dates and how many people you need to sleep! 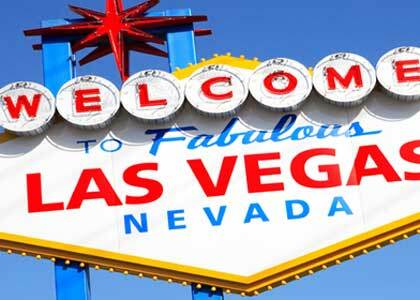 Or try Trip Advisor already filtered for Las Vegas and petfriendly. My strawberry hand-picked selection is below!They have the best reviews. New! 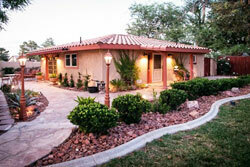 wheelchair accessible, petfriendly, by owner rentals in Las Vegas. Custom Tropical Estate, 4BR+/3BA, sleeps 18; custom home on 1/2 acres ; ave. $549/nt; 3 nts min. - Book It- Request to Book! Homeaway 4235559 -1 B/R Condo 2 miles West of The Strip and MGM Grand. Full kitchen with new appliances fully stocked with pots $ pans ,Dining Room/Living Room with 55” TV with Cox cable ,Apple TV 300MPBS wireless internet. Bath has tub and shower 2 sinks with a large mirror stocked with shampoo /conditioner soap etc, Bedroom has a Queen bed with a new Helix mattress 42” TV with Apple TV. The Condo has 2 pools jacuzzi’s bar-bq’s and a clubhouse with a small gym. 7 Restaurants Wall-Greens 7-11 all next door. Gated safe area. Free parking space comes with Condo . 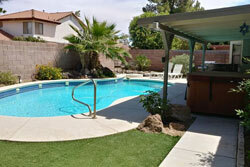 Las Vegas Lush, Tropical Guesthouse W/ Pool - Studio Bungalow, sleeps 3; Ave. $171/nt - Book It- Request to Book! 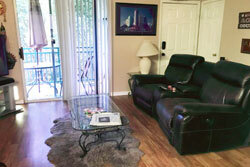 1 Bedroom, Lush, Tropical Setting w/ Pool, HDTV, High Speed Internet, 7-10 minutes LV Strip, 5-7 min to Airport. Gated Inside Parking, Dining Inside or Outside, Barbecue Grill, Large Outdoor Entertaining Area. Transportation to/from airport &/or events when available. VRBO 382099 -The master suite boasts a king size bed, flat screen TV and attached full bathroom with a soaking tub and separate shower. This villa is conveniently located near the village restaurants, pubs, shops and marina. 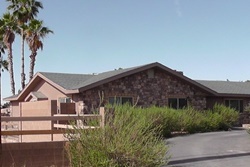 VRBO 375677 -WHEELCHAIR ACCESSIBLE - (Lake Las Vegas - Montelago Village Resort): one of the best vacation destinations in USA located in a mountain valley on the way to Lake Mead and Hoover Dam. 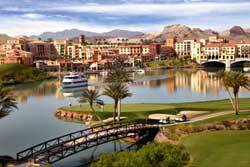 This is a very exclusive, multi billion dollar resort with a 320 acre manmade Lake surrounded by beautiful mountains. This beautiful gated community with the Lake and a Village is a perfect place for entertainment, relaxation and dining, it is only 20 minute drive from Las Vegas airport and 15 minutes from the Strip. 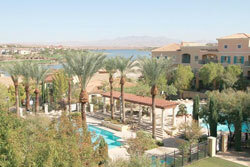 Keywords: Make a luxurious holiday and rent this beautiful 1 Bdm Condo at Lake Las Vegas Resort. Situated along 10 miles of private lakeside shoreline, and nestled amongst 3 golf courses, Lake Las Vegas Resort “Mediterranean” inspired residences yield unparalleled views of dramatic desert mountains, the lake, and the sparkling Las Vegas Strip. VRBO 12442 -Luxurious get-away next to golf course run by OB sports, beautiful view of scenic pond and 18th green, executive, model home with beaituful pool and spa in quiet gated community, professionally decorated, fireplace, gourmet kitchen, formal dining room, 2 large bedroom suites, a den, 7.1 miles from McCarran Airport, 7 night min stay . Not suitable for children. 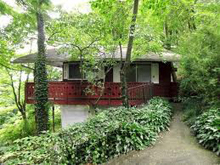 Last Minute Specials for this Amazing Getaway home, 3BR+/2BA, sleeps 6; Ave. $133/nt - ; min stay 3-29 nts. VRBO 612173 - 3 Bedroom 2 Bath in the middle of Summerlin. Minutes from Downtown Summerlin. This home has 3 bedrooms. One bedroom with a King bed, one with a queen bed, and one bedroom with twin bunk beds. 2 car garage. Backyard has a BBQ grill and a pond for relaxation as well as a Hot Tub! Minutes away from downtown Summerlin, Red Rock Casino, Major shopping and restaurant areas, and Red Rock Canyon. This is a very comfortable home and I am sure that you will enjoy your stay. WIFI Internet and Cable TV is available at no additional cost. VRBO 465364 -Single story 1700 sq. ft, 3 bedrooms, 2 baths! Garage and Boat/RV parking. Welcome to Green Valley! Location, location, location! Private home in one of the most convenient neighborhoods in Las Vegas. With only a 10 to 15 minute drive to the Las Vegas strip and the airport, it is located close enough for shows, dining and the glitter of Las Vegas, but far away enough to relax, unwind and enjoy your own mini tropical oasis. VRBO 419933 -5 min drive to rental car return, 10 min from airport, RV parking, pool, TVs in all bedrooms, 2 kings, 2 queens, sofa, BBQ, heated solar pool, 1/2 acre horse arena, semi-detached mother-in-law quarters not for rent, 3 night min stay . Wheelchair Accessible - VRBO 314647 -Winner of House Hunter on Vacation, luxurious, private, gated estate resort on 1.5 acres, open, contemporary flowing floor plan, amazing outdoor entertainment space, including 2 bridges overlooking majestic swimming pools, 3 custom built Jacuzzi hot tubs, water falls, water slide, real sand beach, over 300 palm trees, separate guest house and game house, 5 min from Las Vegas Strip, nestled in a grand estate community, 3 night min stay .